With 2019 now in full swing, it’s time to put words into action and actually start taking steps towards creating a healthier lifestyle. So in hopes of not abandoning our New Year’s resolutions by mid-February, we’re starting our 2019 fitness resolutions with a concrete plan — specifically, we’re on the hunt for local resources close to The Hudson to help make this healthy change stick. Below are some of the ways we’re keeping up with our fitness goals in River North, Chicago. Fitness centers are packed in January with well-intentioned resolutioners, so to avoid the headache of fighting for space and equipment, it’s best to find a gym or studio close to home. 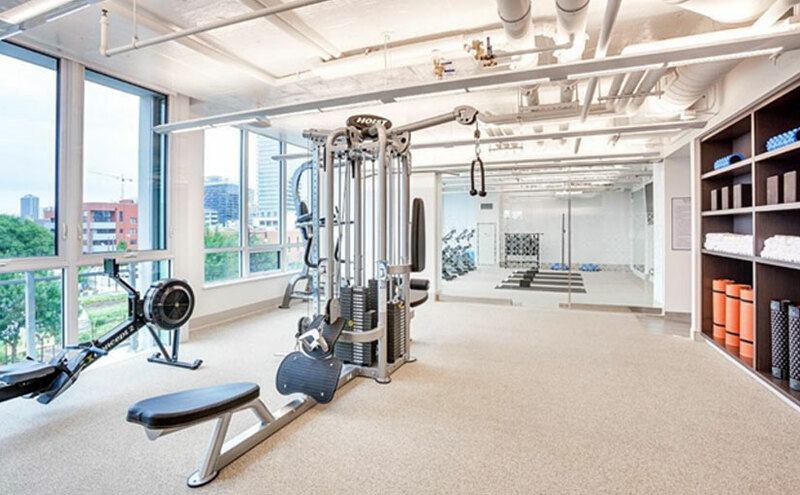 To help make fitness a priority for our residents, The Hudson has a professionally-equipped fitness facility with cardio, strength, and free weight equipment, as well as towel service. There have been countless studies proving that pets make us happier and less stressed, but spending time with our pets also encourages us to exercise more. Did you know that our pet-friendly building has a heated dog run and dog spa? 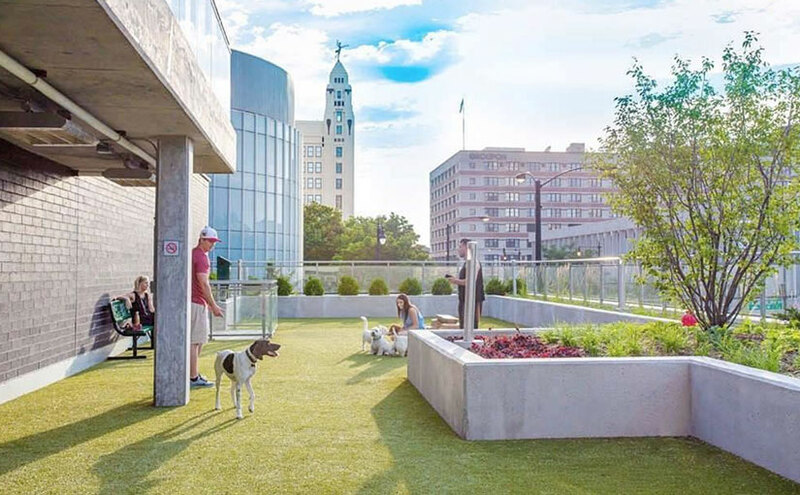 Budget a bit of extra time with your four-legged family members in our warm outdoor space, and you’ll be well on your way to accomplishing your daily fitness goals. One of the best way to revamp your nutrition is to surround yourself with convenient healthy options. 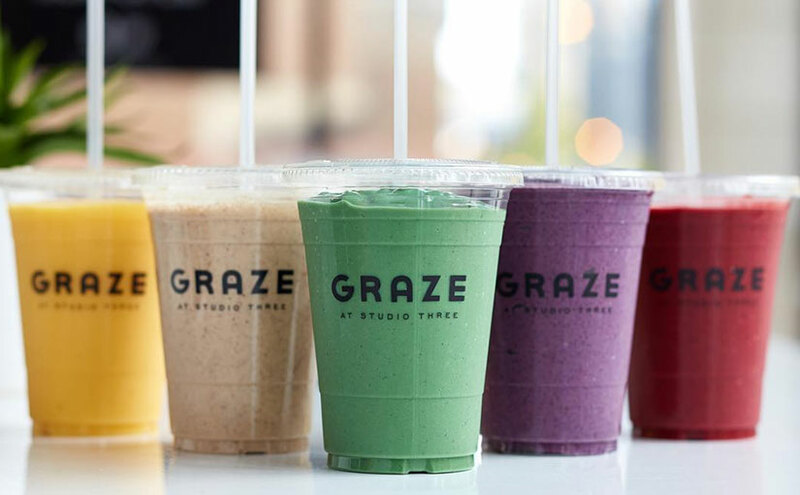 Only a 10-minute walk from The Hudson, Graze is a great spot to pick up an energy-boosting superfood smoothie or acai bowl. Also consider checking out Chicago Raw for 100% plant-based sandwiches, entrees, and salads, and Bru Chicago for a trendy neighborhood café with healthy raw juice, tea, and smoothies galore. Working out is more tolerable when you bring friends with you. In addition to our fully equipped gym center, we also have dedicated yoga and group fitness room for you to hone your yogi skills in a space space with friends. For a low-pressure introduction, drop by our yoga room every Saturday at 9AM for a complimentary class from Chitown Trainer, our exclusive fitness provider. After your workout, our dry sauna is ideal for some post-workout relaxation. Grab your friends and decompress together. How are you keeping up with your fitness resolutions? Tag us on Instagram or Twitter to let us know!